5G Wireless Technology Soon to Come? It used to be that I was happy with 3G. It was decent, although not superfast. And for what I need to do while on the road (e.g., check email, check in on Foursquare, check Facebook, and tweet), 3G served its purpose. It still does, depending on the location. However, the places I frequent these days are just so congested that I can even barely check email on my phone at times! I guess I’ll just have to dream about the day 4G actually becomes usable here. While I am at it, I might as well dream big, though. A new wireless technology – the predecessor of 4G – is almost completed, and if you and I are lucky, we might just get to enjoy it before we die. Not surprisingly, the technology is already being dubbed 5G wireless technology, and it is supposed to double wireless capacity as we know it today. 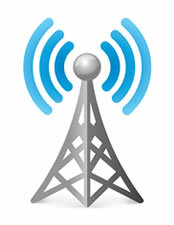 The brilliant minds behind 5G wireless technology belong to researchers from Rice University. The speeds are made possible due to the concept of full-duplex. ((Via)) Basically, that means that communication (data or voice) can happen simultaneously. The two parties communication can “talk” at the same time without waiting for their turn. This is what happens when you use landline phones. When it comes to mobile devices, however, the belief used to be that full-duplex communications was impossible. Not anymore! With the help of an extra antenna (installed on the device) and a little bit of magic, the Rice University researchers have come up with a device that works in full-duplex mode. The good news for mobile providers is that the device does not require them to install additional antennas (cell sites, if you will). The device does all the work.